I like to pretend my boyfriends vegan by making him vegan breakfast, lunch and dinner for when I stay round his. This is something I often make for him. Cook the soba noodles to packet directions, rinse and drain well then toss in a bowl with sesame oil and set aside. Heat the canola oil in a pan to a medium-high heat, add the garlic and the chili and give a quick stir, then add the greens, gently stir round and allow to wilt down a bit and add the carrot. Stir-fry in the oil for a few minutes untill the greens have wilted down thurther, add the tamari and the mirin, give a good stir and pop the lid on so it’s a bit wonky to allow some liquid to escape, and stem the veg untill the greens are completely wilted. Then transfer to the bowl with the noodles and toss through along with some chili flakes and crispy shallots or whatever floats your boat! You can also add other veg to this or use pak choi/ other asian greens. And it’s not tooo bad in a lunch box. Oh and just to let you know,my friend Megyn Webb is doing a sky dive for redwings horse sanctuary, if your got a spare quid why not donate? As shes super scared of heights, here’s a link to her just giving page. Good luck megyn! 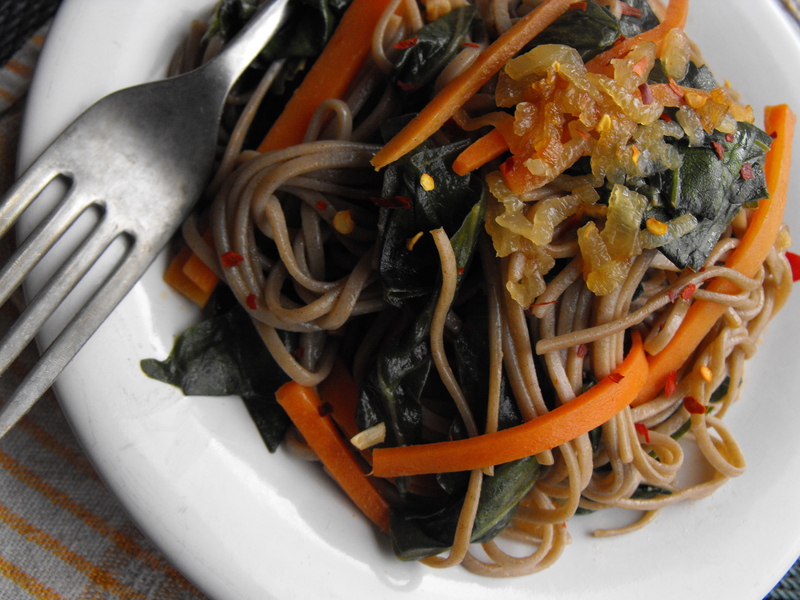 This entry was posted in mains and tagged cheap, easy vegan, easy vegeterian, quick vegan meals, recipes for soba noodles, simple noodle salad, tasty vegan mains, vegan, vegeterian. Bookmark the permalink. HAHA! cheers, he loves nooch on toast, so i think thats a step in the right direction. Also when hes feeling a bit ill he says “i need more vegetables” not wheres the chicken soup, baby steps, but one day. nooch on toast? how does that work? Do tell…. 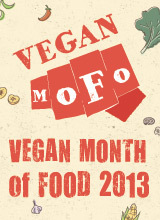 @veganmonologe nooch on toast! you just jotta put a resonable amount of vegan marg on ya toast and sprinkle on the nooch and slightly press it in and it will kinda disolve into the marg? super tasty! Lucky man! It’s hard to imagine he wouldn’t be instantly converted with your cooking my friend! This dish looks soooo good! A lovely dinner! I love soba noodles too!